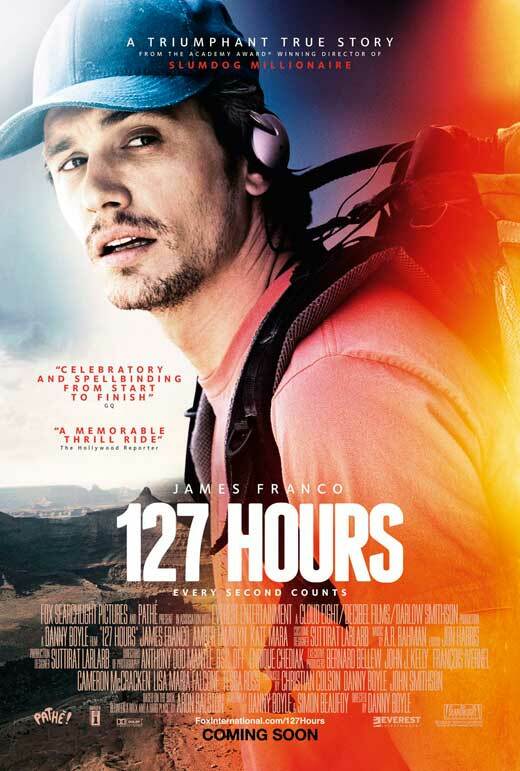 Synopsis : 127 HOURS is the true story of mountain climber Aron Ralston’s (James Franco) remarkable adventure to save himself after a falling boulder crashes on his arm and traps him in an isolated slot canyon in Utah. Throughout his journey, Ralston recalls friends, lovers (Clemence Poesy), family, and the two hikers (Amber Tamblyn and Kate Mara) he met before his accident. Over the next five days Ralston battles the elements and his own demons to finally discover he has the courage and the wherewithal to extricate himself by any means necessary, descend a 65 foot wall and hike over eight miles before he is finally rescued. Told with a dynamic narrative structure, 127 HOURS is a visceral, thrilling story that will take an audience on a never before experienced journey and prove what we can do when we choose life.